One of Florida’s largest medical marijuana businesses received permission Friday to resume operations at two processing facilities after passing state-mandated food-safety inspections, according to company officials and state documents. 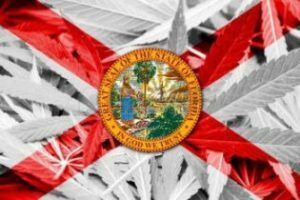 Surterra Wellness, which has eight dispensaries statewide, was the second Florida business forced by the state to halt processing operations temporarily to meet the food-safety inspection deadline. The Green Solution in Gainesville also suspended processing of new products earlier this month, while several other MMJ businesses face inspection deadlines at the end of July or early August. “During this process, we maintained plenty of inventory on hand and experienced zero interruption to operations for our patients,” Surterra spokeswoman Kim Hawkes wrote in a statement. Surterra has a third processing plant, but that facility is still under construction, according to a company spokeswoman. The issue surfaced when the Florida Department of Health sent letters earlier this month notifying processors they were required to pass a food-safety inspection within their first year of operation. A handful had already done so. Jeffrey Sharkey of the Medical Marijuana Business Association of Florida told Marijuana Business Daily last week that the enforcement action caught some processors by surprise. He said they thought the requirement would be waived since the state hasn’t yet finalized edible rules. Why do they still have to pass an inspection when we are not able to get edibles YET, because the state never made the DEADLINE for the rules of edibles. The state has slacked for over a year on making the rules.And IF I had MONEY I’d be filing a lawsuit against the state for missing THIS particular deadline. Patients have been waiting for edibles and just like everything else, they are buying them off the streets and the internet. The state and our federal government just do not get it. I can’t believe how NAIVE they really are. Such FOOLS… People in the “black market” are making and selling edibles, lots of gummies and candies. And NO I’m NOT talking about the gummies and candies made with CBD from hemp. I’m talking about gummies, hard candies, and lollipops with THC from cannabis being made and sold everywhere. Soon the black market for cannabis edibles will be larger than the black market for OPIATES (pills), I’m not talking about heroin, I’m talking about pain pills.